Ipswich Massachusetts is a coastal town located thirty miles northeast of Boston and is bordered by Hamilton, Rowley, Essex, Topsfield and Boxford. A rural setting with farms and fields, forests and marshes, beaches and dunes, this town offers something for everyone. Early on Ipswich was known for ship building, tanneries and salt works and became the home to the very profitable fishing industry as well as the Ipswich Hosiery Mill, the largest stocking mill in the country. Textiles and shoemaking later followed which brought with it, immigrants to work in the mills. This lends to the diverse cultural heritage of Ipswich today. The Ipswich of today is known for early 17th century homes, a highly developed town center and residential neighborhoods with open spaces that allow for incredible views of the river and ocean. 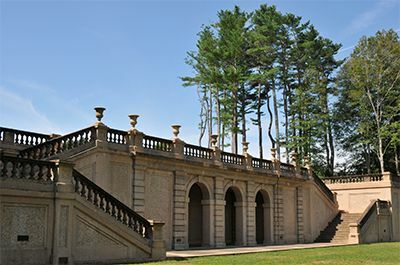 Ipswich also offers a state forest, wildlife refuge and state reservation as well as beaches. A well known and popular beach, Crane beach on the Crane Estate is managed for both recreation and conservation. A careful balance of people and ecology, you will find miles of trails, dunes and clean inviting water along the shoreline. Crane beach is also the home of the piping plover, a threatened bird nearly hunted to extinction. 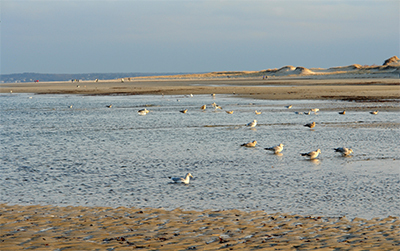 Crane beach is nationally recognized for its successful shorebird protection program. Ipswich has many other attractions as well such as Appleton Farms where you can follow trails on horseback, The Ipswich Museum which contains four hundred years of history affording a glimpse into the early lives of Ipswich residents and the architecture. Ipswich also hosts a variety of restaurants, shopping, churches and antique shops. The town of Ipswich offers a public and private school system. The public school system provides pre-kindergarten through high school and the private systems offers a variety of services as well. If you are thinking of buying or selling property in Ipswich, contact our office and we will connect you with an agent who is very knowledgeable of the area. The agents at RE/MAX Advantage are long term locals and love to share their knowledge and love for the community. They are highly trained and have the most sophisticated tools behind them to help you find your dream home or sell for the highest price. We have provided some community links and quick property searches on the right side of this page so you can begin to explore Ipswich on your own.